NOTE: Still in subscription phase. Vernon Electric Cooperative partnered with the Clean Energy Collective to develop the first community solar farm in Wisconsin. When offered to its members, the 1,001-panel (305kW total) offering sold out in about two weeks at $600 per panel. Energy production began on June 1, 2014, and is expected to have a clean energy output of 407,500kWh in year one, offering a total savings of $35,000 to its members. 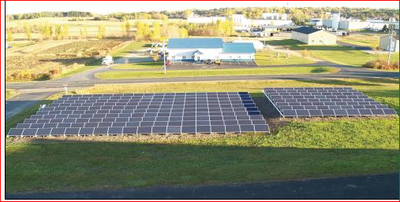 On July 8, 2014, the St. Croix Electric Cooperative’s solar array became active. This solar garden, known as Sunflower 1, consists of 206 member-owned units for a total of 103kW. It is expected to produce 154,000kWh of clean energy annually. 120 members “subscribed” from one to five units and receive credit on their monthly bills. 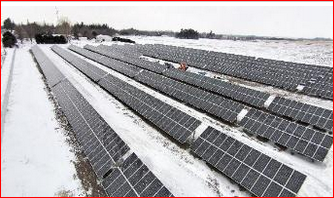 Eau Claire Energy Cooperative announced in March 2015 its plans to offer a community solar field to its members. This 'MemberSolar' offering consists of almost 3000 305-watt panels. Members can subscribe for $650 per panel for 20 years and the expected return is $840 in clean energy.